Hi loves! So on the 8th day in Japan, I went to Kyoto. 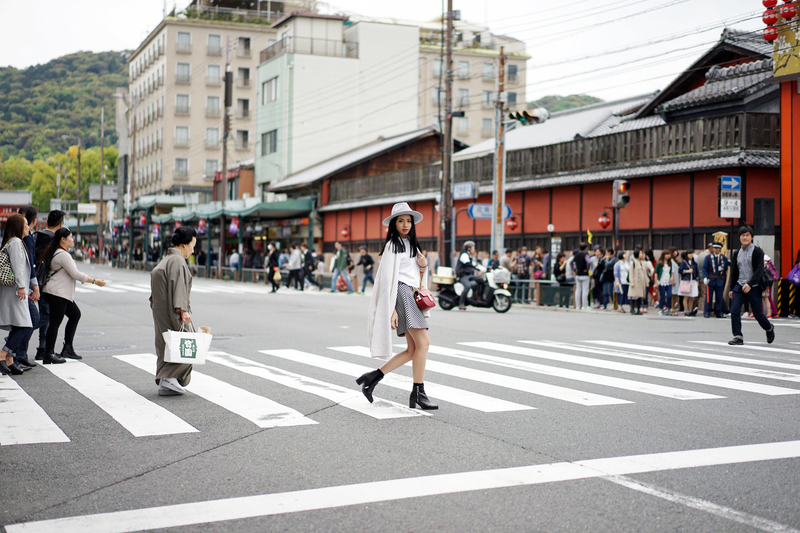 A city that is famous for its temple, garden and geisha! 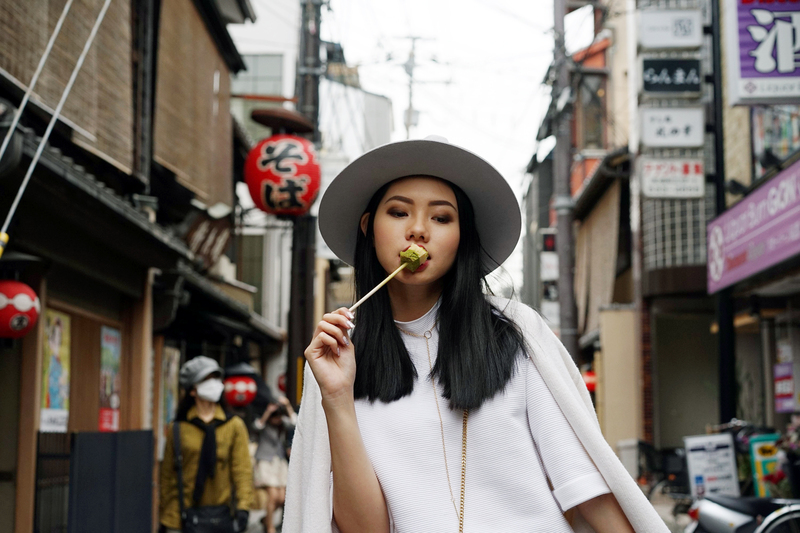 Today I’m going to share 5 reasons to visit Kyoto! So make sure you visit Kyoto when you are visiting Japan. 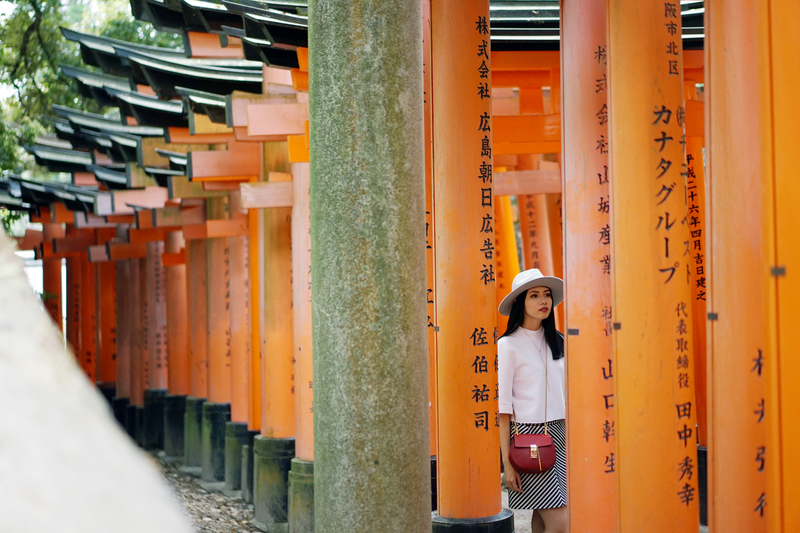 Fushimi Inari Taisha is an important Shinto Shrine in Southern Kyoto. 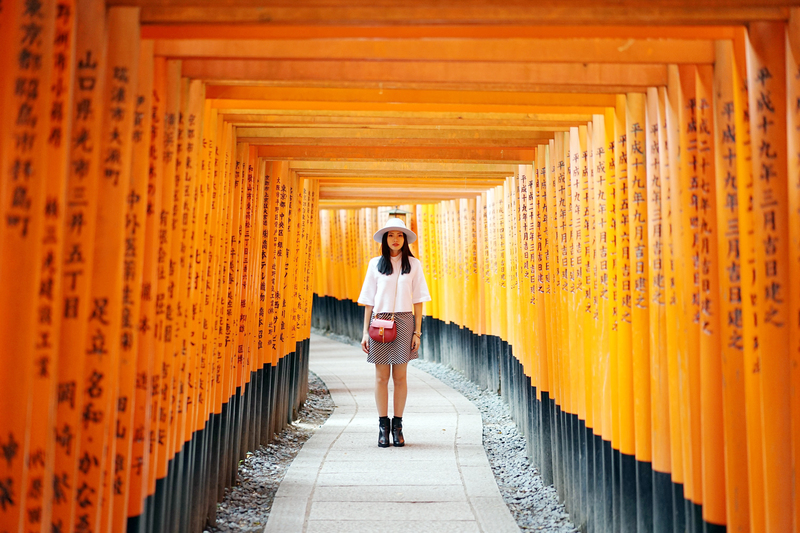 It is famous for its thousands of vermilion tori gates all along the forest and leads into the sacred Mount Inari. Each of this gates have different writings on it! (I wish I could read & understand it tho!) Psst it’s gonna be hard to take a clean picture here because there’s a lot of tourist! Gion is Kyoto’s most famous geisha district, located around Shijo Avenue and Kamo River. Gion has a lot of shops, restaurants, and tea house (ochaya). A combination of traditional, wooden, geiko & maiko performance make it a special attraction for the tourist! If you are matcha lover like me, this is the place! They serve a lot of matcha snacks from ice cream, cake, tea, and many more. All of them are so yummmmmy! My favorite is the matcha soft cake, its super soft and it melts right in your mouth! 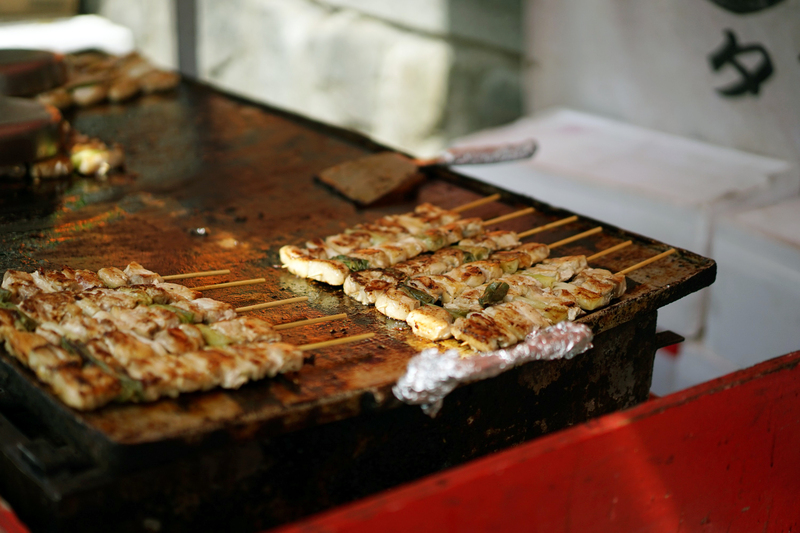 Bored with sushi and ramen? 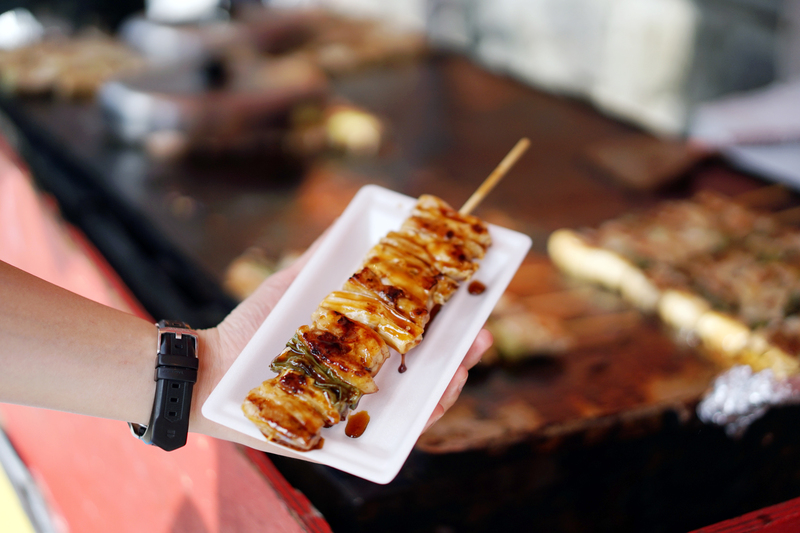 Time for Japanese street food! 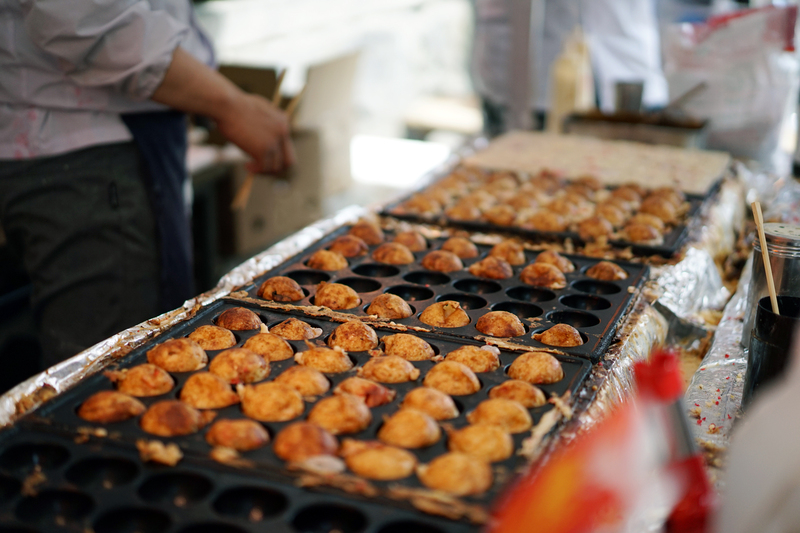 You should try Kyoto’s takoyaki and yakitori. The sauce on the top is to die for. 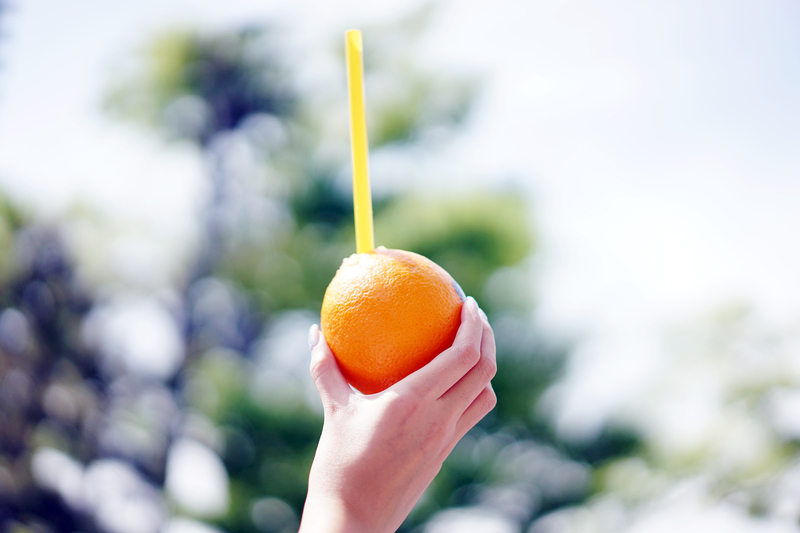 Since it was quite hot that day, I decided to try the orange juice. They served it straight from the fruit itself, can you imagine how refreshing is that?! 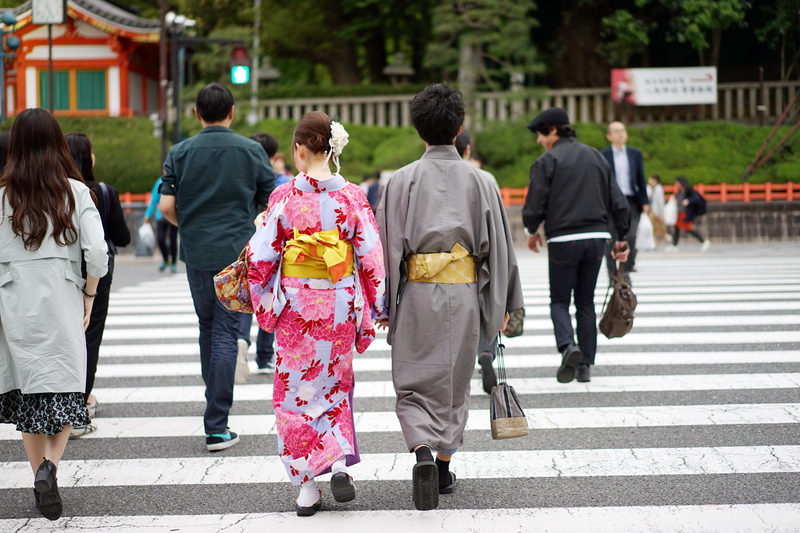 Japanese traditional ambience will not be complete without Kimono. 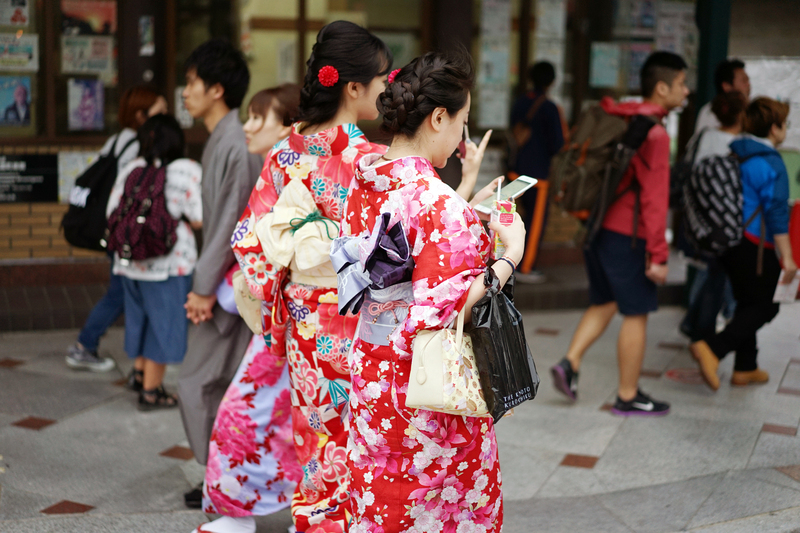 In Kyoto, you can spot tons of people wearing kimono. Fancy a try? There is a lot of Kimono rental shop that you can find here, especially in Gion. Wear it and experience being a Japanese! All your photos are very beautiful.. Btw, I have some tips for you and future travelers. The words on the Tori gate are the name , or the company’s name who doneted some money to Fushimi-inari shrine. 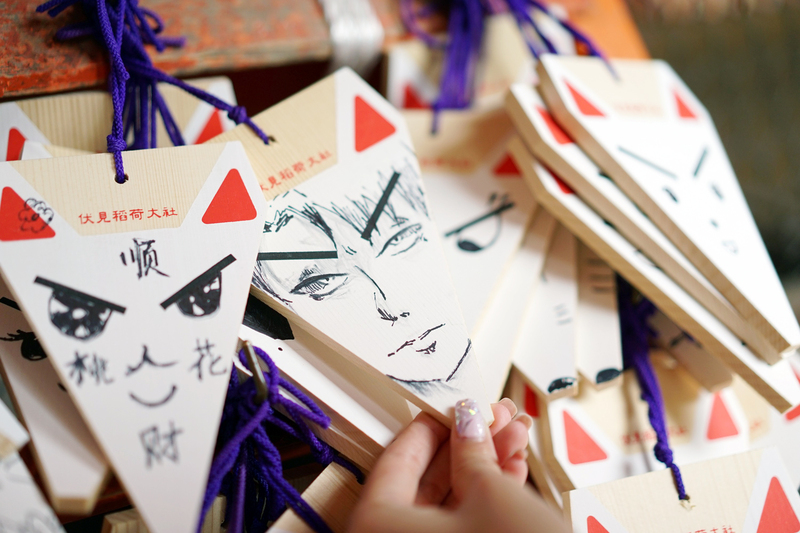 And you can put your own Tori-gate there by paying only 175,000(JPY) ! Anyway, thanks for coming to Kyoto ,and please come again on another seasons! Sakura(cherry blossoms) & Momiji(Red leaves) are very impressive.